The Volkswagen Ford Alliance has been exploring closer cooperation as trade frictions force carmakers to rethink where they build vehicles for Europe, the United States and China. Volkswagen AG (VOWG_p.DE) and Ford Motor Co (F.N) will unveil a deeper alliance next week that goes beyond cooperating in commercial vehicles in a move meant to save the automakers billions of dollars as they develop new technologies, two people familiar with the plan said on Wednesday. Ford and Volkswagen have been exploring closer cooperation as trade frictions force carmakers to rethink where they build vehicles for Europe, the United States and China, and as software companies prepare to launch their own self-driving cars. "A global alliance is expected to be announced," one person said, adding that the pact will be unveiled next Tuesday during the Detroit auto show. The companies have previously said any alliance would not involve a merger or equity stakes. The expanding alliance highlights the growing pressure on all global automakers to manage the costs of developing electric and self-driving vehicles, as well as technology required to meet tougher emissions standards for millions of internal combustion vehicles they will sell in the years to come.Slowdowns in the world's largest auto markets - China and the United States - have ratcheted up the pressure to cut costs. "Talks are going well," the second person said. The framework of the alliance would include the pooling of resources in autonomous technology and VW investing in that Ford business, and Ford licensing Volkswagen's MEB electric vehicles platform, the person added. VW officials have talked about gaining access to Ford's Transit commercial van and the Ranger midsized pickup truck, as well as building their vehicles in Ford plants. Speaking at an event in downtown Detroit to unveil the company's revamped large Explorer SUV, Ford's president of global markets Jim Farley said he had no news to share with reporters about the status of talks with VW, but said that they are "progressing well." "We see real value in working together," Farley said. "The discussions have been very specific." He added that over the coming weeks Ford will share details on how it will restructure its global operations, including in South America and Europe.VW had no immediate comment. 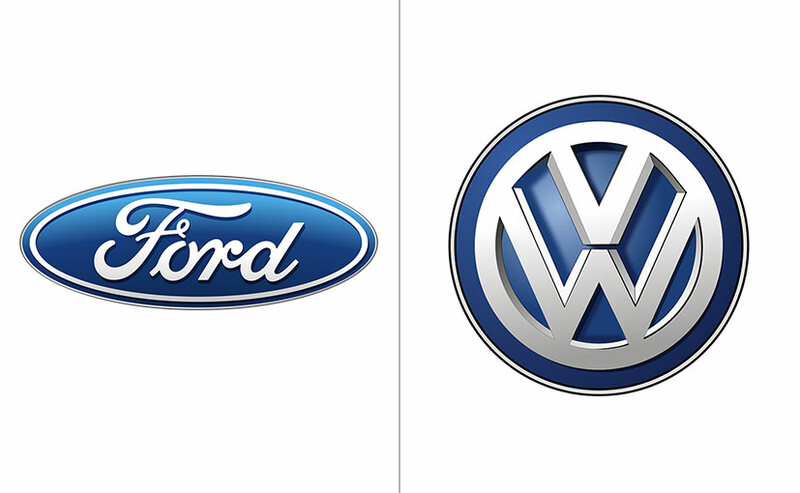 In June, Ford and VW unveiled a pact in commercial vehicles including vans, adding that they were investigating "several joint projects". In December, VW Chief Executive Herbert Diess said, "We are in quite advanced negotiations and dialogue with Ford Corporation to really build up a global automotive alliance, which also would strengthen the American automotive industry. "At the time, Ford Executive Chairman Bill Ford Jr told reporters that talks with Volkswagen about an alliance were going "very well." Diess has talked openly about the savings and greater efficiencies that Europe's largest automaker hoped to achieve through the potential alliance. VW officials also have repeatedly emphasized the only way to make electric cars a mass-market product is through economies of scale to make them as affordable as diesel vehicles. The alliance with Volkswagen serves as a big bet for Ford CEO Jim Hackett since he took over in May 2017 from the ousted Mark Fields with the mandate to speed up decision-making and cut costs. Some analysts and investors have been frustrated by Ford's laggard stock price and a perceived lack of details from Hackett about the Dearborn, Michigan-based automaker's $11 billion restructuring. Ford officials had called the commercial vehicle program a "quick win" and discussed how a broader tie-up would allow the No. 2 U.S. automaker to reduce the number of different vehicles it builds and shrink manufacturing, engineering and purchasing costs.